If Christian Camargo talks about acting as craft, it might be because he comes from a long line of craftsmen. His mother is actor Victoria Wyndham, and his grandfather is the late actor Ralph Camargo. 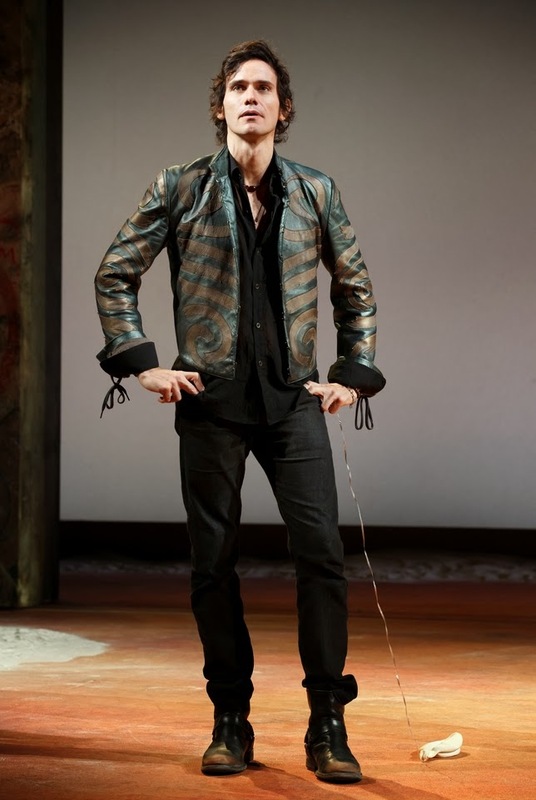 The tribe extends to his wife, Juliet Rylance, and his father-in-law, Tony-winner Mark Rylance—both of whom Camargo met while in the inaugural company of Shakespeare’s Globe Theatre in England. If you’d like to see Christian Camargo’s craft, look no further than Broadway’s Richard Rodgers Theatre, where the 42-year-old actor is currently starring as Mercutio alongside Orlando Bloom and Condola Rashad headlined production of “Romeo and Juliet.” Camargo brings a brazen sexual energy to the scene-stealing role, which speaks highly to Camargo’s ability take a fresh look on archetypal characters. We spoke with Camargo, known to many for his roles on “Dexter” and in the “Twilight’ films, about tackling Shakespeare, perfecting his craft, and staying in the moment. While the language of Shakespeare might be intimidating for an actor at first, Camargo says there’s plenty of information within the text to shape your performance. “Shakespeare gives you these clues—these little pieces of gold dust, I call them,” he says. “They tell you so much about the story, the character, the drive, the intentions. It’s like a gift.” The work also shows actors how to break out of the rhythm of Shakespeare’s iambic pentameter. “It has its own energy to it; its own life to the lines. Budding consonants, line endings, shared lines between two characters—they’re all hints about the drive of the piece and where to emphasize the beats.” Still, no matter how much work you do pre-performance, Camargo says you must walk away from it. “Put your own self in there and marry the technique with what you’re feeling,” he says. Don’t confuse the craft of acting with celebrity.